This week we asked: how do you find or create balance in your life? 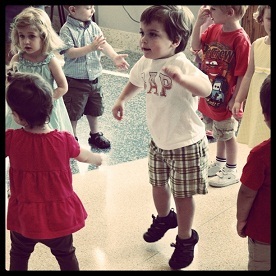 Jenni’s little one finds his own balance! Jenni blogs at Simple Moments. Charise from I Thought I Knew Mama says: I find balance as a SAHM by exploring places that are truly stimulating for both Baby and me. 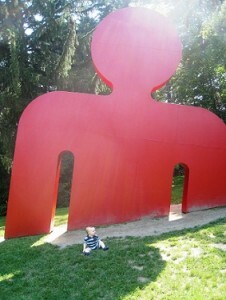 Last week, we visited a museum’s sculpture garden which gave Baby the opportunity to play outside and me the opportunity to admire beautiful art. 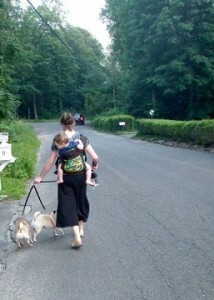 Shannon, aka The ArtsyMama, walks her two pugs every night while Little Man safely rides in his carrier. Her neighbors think it is quite the spectacle. 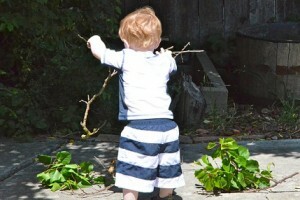 She writes about balancing work and attachment parenting at The Artful Mama. Lani is taking time out with family and friends to “Balance” our busy lives! Lani blogs at Boobie Time. Including Baz in the fun helps to bring the most balance to our lives. Emily blogs at Embrita Blogging. 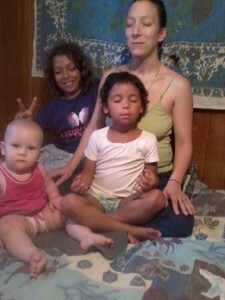 Amy at Peace 4 Parents experiences balance through moments of inner silence, inquiry, and calm – even amidst the kids (and sometimes chaos). Melissa says: A big part of finding balance for me has been learning how to ask for help when I need it and to share parenting and household duties. My partner has started taking our daughter out to play each afternoon so that I have a chance to re-center and set my intentions for the evening. 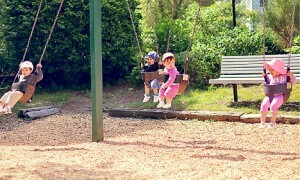 It has made all the difference in the world!” Melissa blogs at The New Mommy Files: Memories, Milestones, and Missteps. Sara says: We’ve been grain, dairy, and legume free since January and have never felt better. My four year old still finds it hard to miss out on the kinds of treats her friends get. I make almond flour or coconut flour muffins, homemade LaraBars, and smoothie popsicles so we can enjoy some tasty things too. 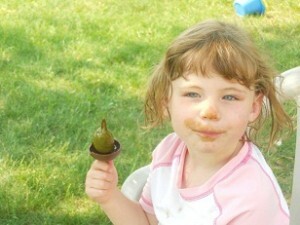 The picture is of Rachel eating a green smoothie ice pop. 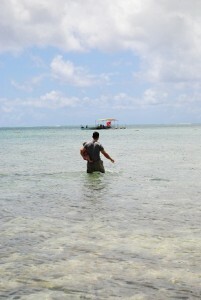 Sara blogs at This Mom Loves . . . .
We’re a spectacle when we walk our dogs too! We have two large, unique-looking mixed breeds (Catahoula/Husky/Rotweiler/Greyhound) and my husband wears our toddler on his back in an Ergo while I wear our baby on my chest in a BabyHawk. Good stuff! Seeing all of these very different pictures illustrating balance reminds me of how many ways there are to define balance. Balance is in the eye of the beholder! I agree with a previous poster nature is truly balancing. This was a really nice set of pictures and a great theme.